For a thesis project I wanted to do a project that had a lot of room for designing a brand from the ground up. So I was given a task to take an IPA (India Pale Ale) logo and animate it onto a glass. Not wanting to be constrained to a current brand I offered to come up wiht my own brand. Luckily I was given the green light to go ahead and start designing. Right away I knew I wanted a brand that could enpand into a series. Challenging me to create mulitple itterations of a brand. 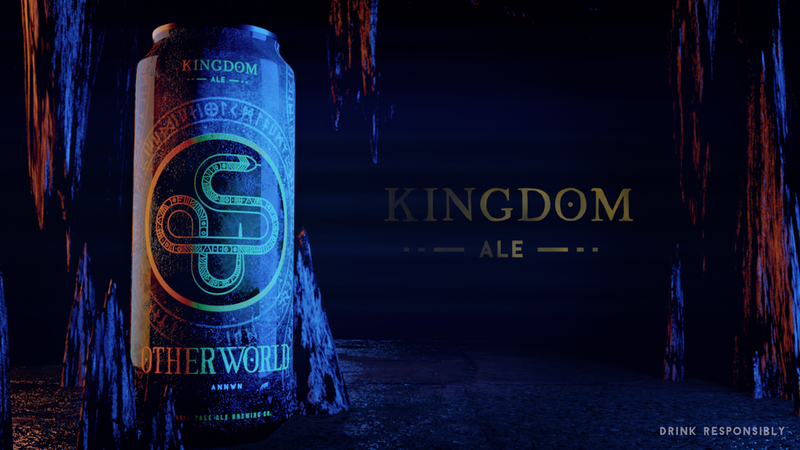 I came up with Kingdom Ale. A series of beers that were based on mythical kingdoms. In Celtic mythology, the Other World is the realm of the deities and possibly also of the dead. I'm a huge fan of Celtic knots and mixing them with Snakes made sense due to snake being prominent in Norse mythology because it represents the earth element. A mythical city of gold that is said to be hidden in the mountains of ancient Columbia. 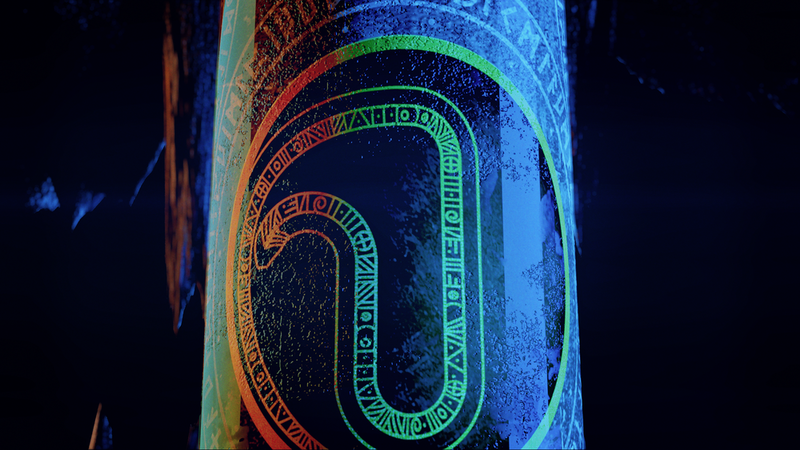 I wanted to use ancient Columbian art as the basis for the shapes. Since Columbian architecture is very cubic I went with squares and rectangles. Enclosed in the western end of the Kunlun Mountains. Shangri-La has become synonymous with any earthly paradise. Trying to narrow down a roots for this myth I came to Ancient Tibet. Thinking about how to make the Wheel of Life a symbol without taking the whole wheel literally. 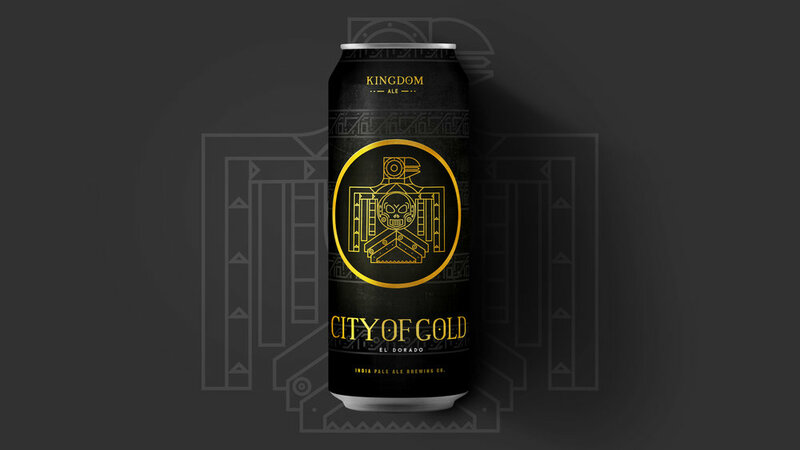 The design of the cans pallete is gold and black. 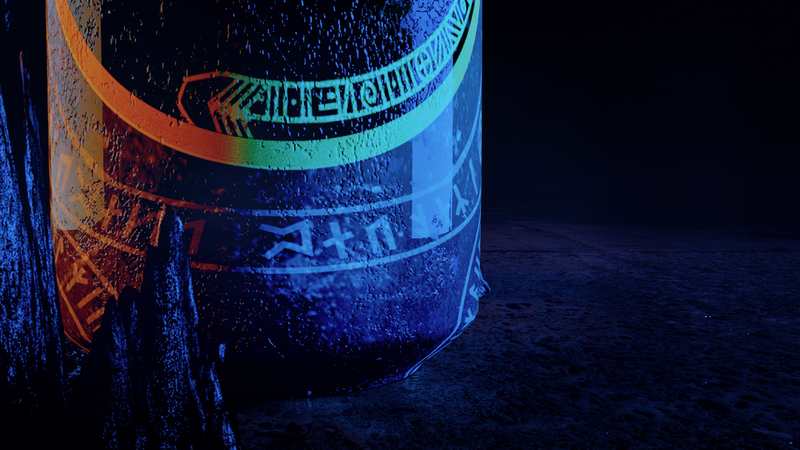 It symbolized the majesty of the kingodms that, although centuries later, still leave us in wonder of their tales and stories. Originaly I designed a Atlantis can, but ran out of time fully flesh it out. 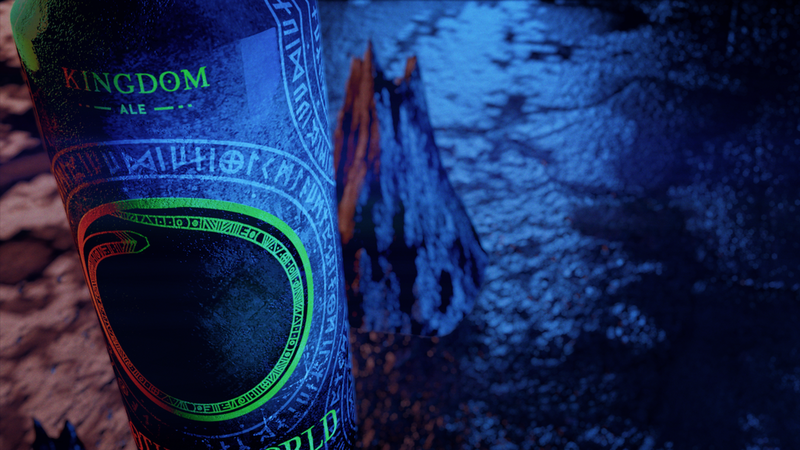 With the cans completed I got right to work to complete the initial assignment which was to animate a logo on the can in a short teaser ad.